==== Then shall the righteous man stand in great boldness before the face of such as have afflicted him, and made no account of his labours. When they see it, they shall be troubled with terrible fear, and shall be amazed at the strangeness of his salvation, so far beyond all that they looked for. And they repenting and groaning for anguish of spirit shall say within themselves, This was he, whom we had sometimes in derision, and a proverb of reproach: We fools accounted his life madness, and his end to be without honour. How is he numbered among the children of God, and his lot is among the saints! Therefore have we erred from the way of truth, and the light of righteousness hath not shined unto us, and the sun of righteousness rose not upon us. We wearied ourselves in the way of wickedness and destruction: yea, we have gone through deserts, where there lay no way: but as for the way of the Lord, we have not known it. ==== The Holy Hierarch Philaret, in the world George Nikolayevich Voznesensky, came from a pious Orthodox family. He was born in the city of Kursk on March 22, 1903. His father was a priest and, later, Archbishop Demetrius of Hailar of the Russian Church Abroad. In 1909 the family of Vladyka Philaret moved to the Far East, and until 1920 the future hierarch lived in Blagoveshchensk, where he finished high school. ==== This is what Vladyka himself recounted about his childhood in a sermon at his nomination as Bishop of Brisbane.[ii] ? There is hardly anything specially worthy of note in my life, in its childhood and young years, except, perhaps, a recollection from my early childhood years, when I as a small child of six or seven years in a childishly naïve way loved to -play service- v I made myself a likeness of a Church vestment and -served-. And when my parents began to forbid me to do this, Vladyka Evgeny, the Bishop of Blagoveshchensk, after watching this -service- of mine at home, to their amazement firmly stopped them: -Leave him, let the boy -serve- in his own way. It is good that he loves the service of God.-¦ From this episode it is evident that Vladyka-s future lofty ecclesiastical service was as it were foretold in a hidden way already in his childhood. ==== After finishing high school the future Archpastor moved to Harbin, where he graduated from the Polytechnical institute and received a specialist qualification as an engineer-electrical mechanic. Later, when he was already First Hierarch of the ROCA, he did not forget his friends at the institute. All those who had known him, both at school and in the institute, remembered him as a kind, affectionate comrade. He was distinguished by his great abilities and was always ready to help and helped his fellow pupils a great deal, delivering each one from any ?woe¦ that may have threatened them. After the institute he got a job as a teacher and was known as a good, knowledgeable pedagogue; his pupils loved and valued him. But his instructions for the young people went beyond the bounds of the school programme and penetrated every aspect of human life. Many of his former pupils and colleagues after meeting him retained a high estimate of Vladyka-s authority for the rest of their lives. ==== Living in the family of a priest and seeing the life and labours of his father, a strict and pious pastor of the Church, the future Vladyka naturally became accustomed, from his early years, to the church and the Divine services. But, as he himself said later, this was at the beginning only an external, haphazardly created habituation to the atmosphere of church life, in which there was ?almost nothing deep, inwardly apprehended and consciously accepted¦. In truth, inward apprehension of the necessity of faith and life in accordance with faith is very important for a man insofar as, without this , perceiving church life in a merely external manner, through the atmosphere in which he lives, a man can later, in changed circumstances, completely lose faith in God. ==== The holy hierarch accepted the monastic tonsure in 1931. In the same year he completed his studies in Pastoral Theology in Harbin. At this time he had been ordained v he was the priest George. In monasticism he received the name Philaret in honour of Righteous Philaret the Merciful. In 1937 Fr. Philaret was raised to the rank of archimandrite. ==== The first years of the future holy hierarch-s monasticism were passed in the usual temptations that are encountered on the path of this life. At first Fr. Philaret was greatly helped by the advice of the then First-Hierarch of the ROCA, Metropolitan Anthony (+1936), with whom Fr. Philaret corresponded for several years. And of course Fr. Philaret tried to draw the answers to his perplexities in the writings of the holy fathers, who from the very beginning instructed him on the path of the spiritual life and who constituted an irreplaceable guide in the absence of living instructors. That Fr. Philaret was brought up in a truly Orthodox spirit precisely through the writings of the holy fathers is evident also from the fact that he later, almost always practically alone, rose up in defence of God-s righteousness and Church truth. The saints taught him not to be afraid to be alone in the struggle for the truth, for -if God is for us, who can be against us?- (Romans 8.31). Fr. Philaret-s love for the Word of God was such that he learned by heart all four Gospels, and later, throughout his life, he attempted to construct his sermons on an interpretation of this or that word of the Lord, on the Gospel parables and stories. ==== In Harbin Fr. Philaret was very active in ecclesiastical and pastoral-preaching work. Already in the first years of his priesthood he attracted many people seeking the spiritual path. The Divine services which he performed with burning faith, and his inspired sermons brought together worshippers and filled the churches. Multitudes pressed to that church in which Fr. Philaret was serving. All sections of the population of Harbin loved him; his name was also known far beyond the boundaries of the Harbin diocese. He was kind, accessible to all those who turned to him. Queues of people thirsting to talk with him stood at the doors of his humble cell; on going to him, people knew that they would receive correct advice, consolation and help. ==== The holy Hierarch Philaret loved and pitied people. The Lord endowed him with a special gift v the gift of finding the right approach to each person. In his sensitive and compassionate soul Vladyka immediately understood the condition of a man-s soul, and, in giving advice, consoled the suffering, strengthened the despondent and cheered up the despairing with an innocent joke. He loved to say: ?Do not be despondent, Christian soul! There is no place for despondency in a believer! Look ahead v there is the mercy of God!¦ People went away from him pacified and strengthened by his strong faith. ==== Vladyka was generous not only in spiritual, but also in material alms, imitating his protector, the righteous Philaret. Many learned only after his death how much good he had done and how he secretly given help to the needy. Many homeless people turned to him, and he refused help to nobody, except in those cases in which he literally had nothing left, when he would smile guiltily and say: ?Nothing, my dear!¦ But then he would find a way out v and give away the things he was wearing. ==== ?The Orthodox Church is now glorifying all those who have pleased God, all the saints.., who accepted the holy word of Christ not as something written somewhere to someone for somebody, but as written to himself; they accepted it, took it as the guide for the whole of their life and fulfilled the commandments of Christ. ==== ?- Of course, their life and exploit is for us edification, they are an example for us, but you yourselves know with what examples life is now filled! Do we now see many good examples of the Christian life?!-. When you see what is happening in the world,- you involuntarily think that a man with a real Orthodox Christian intention is as it were in a desert in the midst of the earth-s teeming millions. They all live differently- Do you they think about what awaits them? Do they think that Christ has given us commandments, not in order that we should ignore them, but in order that we should try to live as the Church teaches. ==== ?-. We have brought forward here one passage from the Apocalypse, in which the Lord says to one of the servers of the Church: -I know your works: you are neither cold nor hot. Oh if only you were cold or hot!¦ We must not only be hot, but must at least follow the promptings of the soul and fulfil the law of God. ==== Following the example of the holy fathers, the holy Hierarch Philaret did not teach others what he himself did not do. He himself, like the saints, whom he called on people to imitate, accepted everything written in the Holy Scriptures and the patristic writings ?not as something written somewhere to someone for somebody,¦, but as a true guide to life. ==== Vladyka was exceptionally strict with himself and conducted a truly ascetic style of life. He had a rare memory, keeping in his head not only the words of the Gospel and the holy fathers, but also the sorrows and woes of his flock. On meeting people the holy hierarch demonstrated great interest for all sides of their life, he did not need to remember their needs and difficulties v he himself developed the subject of conversation that interested a man, and gave ready replies to the perplexities tormenting him. ==== In 1931 Manchuria was occupied by the Japanese armies. Fourteen years later the Japanese were succeeded by the communists v in 1945 the Soviet armies defeated the Japanese army; immediately after the Soviet communists the Chinese came to power. In the first days of the ?Soviet coup¦ the Soviet government began to offer Russian emigres the opportunity to take Soviet passports. Their agitation was conducted in a skilful manner, very subtly and cleverly, and the deceived Russian people, exhausted from the hard years of the Japanese occupation during which everything Russian had been suppressed, believed that in the USSR there had now come ?complete freedom of religion¦, and they began to take passports en masse. ==== Soon Fr. Philaret read in the ?Journal of the Moscow Patriarchate¦ that Lenin was the supreme genius and benefactor of mankind. Father Philaret could not stand this lie and from the ambon of the church he indicated to the believers the whole unrighteousness of this disgraceful affirmation in an ecclesiastical organ, emphasising that Patriarch Alexis (Simansky), as the editor of the JMP, was responsible for this lie. Fr. Philaret-s voice sounded alone: none of the clergy supported him, and from the diocesan authorities there came a ban on his preaching from the church ambon, under which ban he remained for quite a long time. Thus, while still a priest, Vladyka was forced to struggle for church righteousness on his own, without finding any understanding amidst his brothers. Practically the whole of the Far Eastern episcopate of the Russian Church Abroad at that time recognised the Moscow Patriarchate, and so Fr. Philaret found himself involuntarily in the jurisdiction of the MP, as a cleric of the Harbin diocese. This was for him exceptionally painful. He never, in whatever parish he served, permitted the commemoration of the atheist authorities during the Divine services, and he never served molebens or pannikhidas on the order of, or to please, the Soviet authorities. But even with such an insistent walling-off from this false church behaviour, his canonical dependence on the MP weighed as a heavy burden on the soul of Fr. Philaret. When the famous campaign for ?the opening up of the virgin lands¦ was declared in the USSR, the former emigres were presented with the opportunity to depart for the Union. To Fr. Philaret-s sorrow, his own father, Archbishop Demetrius of Hailar, together with several other Bishops, were repatriated to the USSR. But Fr. Philaret, on his own as before, tirelessly spoke in his flaming sermons about the lie implanted in the MP and in ?the country of the soviets¦ as a whole. Not only in private conversations, but also from the ambon, he explained that going voluntarily to work in a country where communism was being built and religion was being persecuted, was a betrayal of God and the Church. He refused outright to serve molebens for those departing on a journey for those departing for the USSR, insofar as at the foundation of such a prayer lay a prayer for the blessing of a good intention, while the intention to go to the Union was not considered by Fr. Philaret to be good, and he could not lie to God and men. That is how he spoke and acted during his stay in China. ==== Such a firm and irreconcilable position in relation to the MP and the Soviet authorities could not remain unnoticed. Father Philaret was often summoned for interrogations, at one of which he was even beaten. In the end they tried to kill him: they set fire to the house in which he was living, having first boarded up the doors and windows on the ground floor. It was a terrible fire, and Fr. Philaret was only just able to save himself: he jumped out of a window on the first floor, and incurred serious burns. As a consequence of the interrogations and burns he suffered, for the rest of his life he retained a small, sideways inclination of his head and a certain distortion of the lower part of his face; his vocal chords also suffered. Thus the holy Hierarch Philaret was counted worthy of the lot of the confessors and martyrs for the Faith. ==== Archimandrite Philaret left China only after almost the whole of his flock had left Harbin. ==== ?While striving to guard my flock from Soviet falsehood and lies,¦ recounted the holy hierarch, ?I myself sometimes felt inexpressibly oppressed v to the point that I several times came close to the decision to leave altogether v to cease serving. And I was stopped only by the thought of my flock: how could I leave these little ones? If I went and ceased serving, that would mean that they would have to enter Soviet ?service¦ and hear prayers for the forerunners of the Antichrist v ?Lord, preserve them for many years,¦ etc. This stopped me and forced me to carry out my duty to the end. ==== Of course, the humble servant of the Church had not idea at that time that already in the following year he would become First Hierarch of the whole Russian Emigration, and that his name would become known to all the ends of the earth as that of a confessor and champion of the True Orthodox Faith-. ==== In 1964, having been for many years First Hierarch of the ROCA, Metropolitan Anastasy, for reasons of health and age, petitioned the Hierarchical Sobor for his retirement. The question arose who would be the new First Hierarch. Some members of the ROCA wanted to see the holy Hierarch John (Maximovich) as their head, but another part was very opposed to this. Then, to avoid any further aggravation of the situation, and a possible scandal and even schism, the Hierarch John removed his candidacy an suggested making the youngest Hierarch, Bishop Philaret, First Hierarch. This choice was supported by Metropolitan Anastasy: Vladyka Philaret was the youngest by ordination, had mixed little in Church Abroad circles, and had not managed to join any ?party¦. And so, in 1964 Bishop Philaret of Brisbane was elected to the First Hierarchical see by the Hierarchical Sobor of the ROCA. ==== Truly the hand of God was in this ! Vladyka Philaret administered the Russian Church Abroad for 21 years. Under him many of those pleasing to God were glorified: Righteous John of Kronstadt (in 1964), St. Herman of Alaska (in 1971), Blessed Xenia of St. Petersburg (in 1978) and, finally, in 1981 v the Council of the New Martyrs and Confessors of Russia led by the Royal Martyrs and Patriarch Tikhon. It is worthy of note that until Metropolitan Philaret there was not one glorification of a new saint in the ROCA. 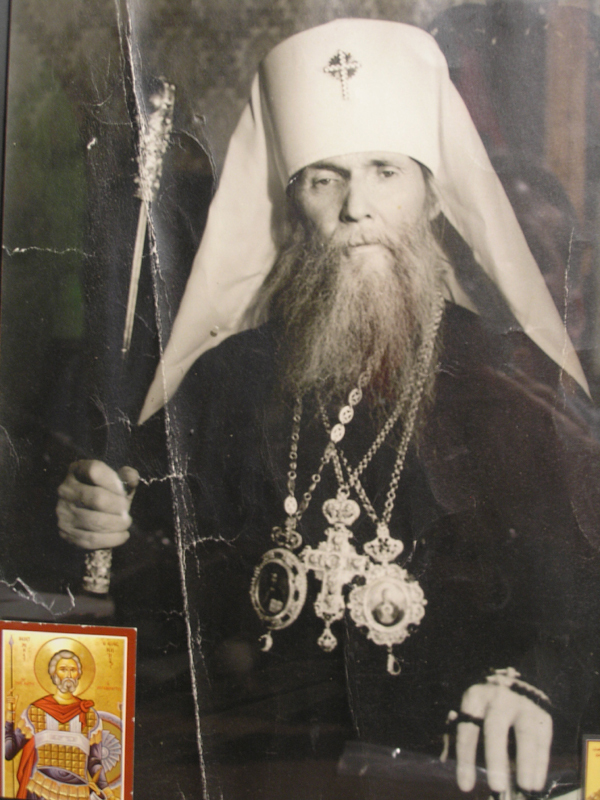 This good beginning witnesses, as does Vladyka Philaret-s whole activity, to the fact that from the very beginning of his first-hierarchical service he adopted a course aimed at preserving and defending patristic Orthodoxy, understanding that all the formerly Orthodox churches in the world were falling away from the faith, and that true Christians had nothing in common with ?Official Orthodoxy¦, and that therefore they should not wait until one of those sitting on the ancient apostolic cathedras who v alas! v had fallen away from the apostolic confession of the faith, should glorify new saints that had clearly already been glorified by God, but should do it themselves. ==== Being educated on the teaching of the holy fathers, Vladyka Philaret strove to lead his church along the path of the holy fathers. Unfortunately, he was not sufficiently understood by his episcopal brothers, some of whom absolutely refused to understand his striving. The holy hierarch had a difficult task in front of him, insofar as, on the one hand, it was necessary to lead the Church in the direction of a decisive rejection of the apostasy of ?World Orthodoxy¦, and on the other, to preserve unity between the members of his own Synod. A particularly consistent supporter of rapprochement with World Orthodoxy was Archbishop Anthony of Geneva and Western Europe. [iii] Some Hierarchs made attempts to use the precedents of rare and irregular communion with the ?official churches¦ in the 1930s-50s to justify their striving to preserve communion with the ecumenists, referring, among other things, to the fact that the ROCA had never broken officially with a single one of the churches of ?World Orthodoxy¦. The tacit aim of these Bishops- activity was to attain the recognition by the ROCA of the MP, and to enter into a certain communion with her. But Vladyka Philaret truly became for these lovers of ?World Orthodoxy¦ a stone of stumbling and a stone of temptation. In vain does one of the opponents of his course say today that Metropolitan Philaret ?understood nothing¦ about what the position of the Church Abroad should be, because he lived the whole of his life far from ?the great world¦ v in a word, he was ?uneducated¦, he did not know ?the traditions of the Church Abroad¦ v and for this reason, supposedly, his course was so strongly distinguished from the course of all the other ?official churches¦. [iv] Others hint that he fell under someone-s ?evil influence¦. But it seems it would have been correct to say precisely the opposite: the holy Hierarch Philaret received an excellent ?education¦, absorbing the patristic wisdom from his youth and acting under its influence; and the ecclesiastical course that he chose was so distinct from the course of the hierarchs of ?World Orthodoxy¦ because the latter, being the sons of this world, simply trampled on the teaching of the holy fathers and canons of the Church, treating them as ?non-existent¦. ==== Moreover, the Lord in a clear way demonstrated that the path trodden by the holy Hierarch Philaret was pleasing to Him: in 1982 there was revealed a miracle of the mercy of God v the wonder-working, myrrh-streaming icon of the Iveron-Montreal icon of the Mother of God, which in the course of fifteen years unceasingly emitted myrrh and was hidden from us only in 1997. ==== While Vladyka Philaret was first-hierarch, ecumenism finally showed its true face v the mask of a terrible heresy uniting in itself all the earlier heresies and striving to engulf Orthodoxy completely, destroying the very concept of the Church of Christ and creating a universal ?church¦ of the antichrist. ==== As a counterweight to the apostate ?Orthodox churches¦, Metropolitan Philaret strove to strengthen the movement of the True Orthodox Christians throughout the world. Thus in December, 1969, under his leadership, the Synod of the ROCA officially recognised the validity of the ordinations of Bishop Acacius (Pappas)[v] and other hierarchs of the ?Florinite¦ branch of the Greek Old Calendarists[vi], which Metropolitan Anastasy had refused to do before the end of his life. This recognition strengthened the position of the ?Florinites¦, as a result of which the Old Calendarist ?Matthewites¦ also turned to the Synod of the ROCA v in 1971 Metropolitans Callistus of Corinth and Epiphanius of Cyprus arrived in New York with the aim of ?establishing spiritual communion for the strengthening of the Sacred struggle for Orthodoxy.¦ Communion was established (although in 1976 the ?Matthewites¦ broke it, to a significant extent because of the increasing numbers of concelebrations with ecumenists in the diocese of Archbishop Anthony of Geneva). This rapprochement with the Greek Old Calendarists went in parallel with a hardening of relations with the ?official churches¦. And it was about time, insofar as the stormy ecumenist activity of the Ecumenical Patriarch Athenagoras led, in December, 1965, to a mutual ?lifting of anathemas¦ between the Orthodox Church and the Roman Catholics, about which declarations were made simultaneously in Rome and Constantinople. Athengoras recognised the Catholics as his ?brothers in Christ¦. Such as flagrantly anti-Orthodox deed on the part of the Ecumenical Patriarch could not leave the holy Hierarch Philaret indifferent. On December 15, 1965 he wrote to Athenagoras, protesting against his actions: ?Your gesture puts a sign of equality between error and truth. For centuries all the Orthodox Churches believed with good reasons that it has violated no doctrine of the Holy Ecumenical Councils; whereas the Church of Rome has introduced a number of innovations in its dogmatic teaching. The more such innovations were introduced, the deeper was to become the separation between the East and the West. The doctrinal deviations of Rome in the eleventh century did not yet contain the errors that were added later. Therefore the cancellation of the mutual excommunication of 1054 could have been of meaning at that time, but now it is only evidence of indifference in regard to the most important errors, namely new doctrines foreign to the ancient Church, of which some, having been exposed by St. Mark of Ephesus, were the reason why the Church rejected the Union of Florence- No union of the Roman Church with us is possible until it renounces its new doctrines, and no communion in prayer can be restored with it without a decision of all the Churches, which, however, can hardly be possible before the liberation of the Church of Russia which at present has to live in the catacombs- A true dialogue implies an exchange of views with a possibility of persuading the participants to attain an agreement. As one can perceive from the Encyclical Ecclesiam Suam, Pope Paul VI understands the dialogue as a plan for our union with Rome with the help of some formula which would, however, leave unaltered its doctrines, and particularly its dogmatic doctrine about the position of the Pope in the Church. However, any compromise with error is foreign to the history of the Orthodox Church and to the essence of the Church. It could not bring a harmony in the confessions of the Faith, but only an illusory outward unity similar to the conciliation of dissident Protestant communities in the ecumenical movement.¦[vii] Metropolitan Philaret sent a similar address to another leader of the ecumenical movement v the American Archbishop James. However, the apostate hierarchs paid no attention to his exhortations. The ecumenical movement continued to gather speed. The holy Hierarch Philaret looked with sorrow on the falling away from the faith of the once Orthodox Churches. And he called the epistles which he sent to all the hierarchs of the Orthodox Church just that v ?Sorrowful Epistles¦. [viii] In his first Epistle, written in 1969, St. Philaret says that he has decided to turn to all the hierarchs, ?some of whom occupy the oldest and most glorious sees¦, because, in the words of St. Gregory the Theologian, ?the truth is betrayed by silence¦, and it is impossible to keep silent when you see a deviation from the purity of Orthodoxy v after all, every bishop at his ordination gives a promise to keep the Faith and the canons of the holy fathers and defend Orthodoxy from heresies. Vladyka quotes various ecumenist declarations of the World Council of Churches (WCC) and clearly shows, on the basis of the patristic teaching and the canons, that the position of the WCC has nothing in common with Orthodoxy, and consequently the Orthodox Churches must not participate in the work of this council. The holy Hierarch Philaret also emphasises that the voice of the MP is not the voice of the True Russian Church, which in the homeland is persecuted and hides in the catacombs. Vladyka calls on all the Orthodox hierarchs to stand up in defence of the purity of Orthodoxy. ==== At the beginning of the 1970s there arose within the Church Abroad a powerful movement in support of the Soviet dissidents. When the Third All-Emigration Council took place in 1974, a significant part of the participants headed by Archbishop Anthony of Geneva spoke in favour of the ROCA giving unqualified support to the dissidents in spite of their membership in the Moscow Patriarchate and their ecumenist ideology, which was foreign to the spirit and teaching of the ROCA. However, the traditionalists, while giving due respect to the boldness of the dissidents, objected to their recognition, which could lead believers in Russia into error, devaluating the witness of the true catacomb confessors and creating the impression that one could be a true confessor from inside a heretical church organisation. Significantly later, in 1980, after one of the dissident leaders, Fr. Dmitri Dudko, had been ?broken¦ and offered ?tele-repentance¦[ix] for his ?anti-soviet activity¦, Vladyka Philaret wrote to one liberally-minded priest of the ROCA[x] that it could not be otherwise, insofar as Fr. Dmitri-s activity had taken place inside the MP, that is, outside the True Church, ?the church of the evil-doers¦, and therefore the God-s help did not come to him. If Fr. Dmitri had joined the True Church, Soviet power would have dealt cruelly with him, but at the same time the Grace of God would have strengthened him for the exploit of true martyrdom. Thus the holy hierarch spoke out already at that time against the now very widespread ideology of ?the struggle from within¦ for the regeneration of the Church, when the ?fighters for Orthodoxy¦ carry on their activity within church organisations that have fallen away from Orthodoxy and that have preserved only the external shell of the True Church. Vladyka Philaret always warned his flock and priests against any communion with the MP, not only in prayer, but also in daily life, emphasising that such an instruction was contained in the Testament of Metropolitan Anastasy. ==== ?We see a similar -paradox- in the moral, ethical and spiritual evaluation of a person;- righteous men see themselves as sinners, while sinners see themselves as righteous. ==== ?Those who were pleasing to God thought of themselves in a completely different way and saw themselves and their spiritual nature in a completely different light. One ascetic wept all the time; his disciple asked him: ?Father, what are you weeping about?¦ ?About my sins, my son,¦ he replied. ?But what sins can you have? And why do you weep over them so much?¦ ?My son,¦ replied the ascetic, ?if I could see my sins as they should be seen, in all their ugliness, I would ask you to weep for my sins together with me.¦ That is how these extraordinary people spoke about themselves. But we, being ordinary people, do not see our sinfulness and do not feel its weight. Hence it turns out as I have just said: a person comes to confession and does not know what to say. One woman arriving for confession just said: ?Batyushka, I-ve forgotten everything.¦ What do you think: if a man has a painful hand or leg or some inner organ, and goes to the doctor, will he forget that he has a pain? So is it with the soul: if it really burns with a feeling of repentance, it will not forget its sins. Of course, not one person can remember all his sins v all to the last one, without exception. But true repentance unfailing demands that a man should be conscious of his sinfulness and feel sincere compunction over it. == ==It is interesting that Vladyka imitated the Apostles of Christ not only in their pastoral labours and zeal for the faith. He also very much loved fishing, and often went fishing. With this aim he even had a special ?fisherman-s cassock¦ into which he changed when he went fishing. ==== We know of cases of healing through Vladyka-s prayers. But if another holy hierarch of the Russian Emigration, Vladyka John, was glorified by a multitude of miracles, of healings and similar signs, the holy hierarch Philaret was in this respect more ?unnoticed¦; the Lord counted him worthy of another gift v that of standing for ecclesiastical righteousness, of reproaching the impiety of the apostates of our age and of calling on all the faithful who really wish, not in words but in deeds, to be Orthodoxy, to turn away from the new heresy of ecumenism and from communion with the false Orthodox. The Apostle Paul says: ?But the manifestation of the Spirit is given to every man to profit withal. For to one is given wisdom; to another the word of wisdom; to another the word of knowledge by the same Spirit; to another faith by the same Spirit; to another the gifts of healing by the same Spirit; to another the working of miracles- And God hath set some in the Church, first apostles, secondarily prophets, thirdly teachers, after that miracles, then gifts of healing, helps, governments, diversities of tongues-¦ (I Corinthians 12.7-10, 28). And in truth the Lord gave to the holy hierarch Philaret flaming faith, the word of wisdom and reason to confirm it, and placed him as an apostle and teacher of His Church. ==== ?Brethren, we must fear this indifference to the truth. Our Lord Jesus Christ in the Apocalypse clearly indicates to us how terrible indifference to the truth is. There he turns to the Angel standing at the head of the Laodicean Church and says: -I know thy works. Thou art neither cold nor hot. Oh if only thou wast hot or cold! But since thou art neither cold nor hot (but lukewarm v neither the one nor the other, the truth is not dear to thee), I will spue thee from My mouth!- As an organism cast out of itself something which is absolutely repulsive and harmful to it. ==== ?Let us remember that this indifference to the truth is one of the main woes of our age of apostasies. Value the truth, O man! Be a fighter for the truth- Place the truth higher than all else in life, O man, and never allow yourself to decline in any way from the true path. ==== ?- There are now many attacks on the Church Abroad. Not one Church is reviled as much today. And the servers of other Churches are not revile as much as the servants of the Church Abroad. What does this mean? This is the most reliable sign that our Church stands in the truth, and therefore every lie, every unrighteousness has taken up arms against her in war- She stands in the truth and preaches this truth, announces it and defends it v hence all these attacks on her. ==== The holy hierarch Philaret always used to say that Christians who are indifferent to the truth are precisely those who are called the Laodicean Church in the Apocalypse, who think: ?I am rich, and increased in goods, and have need of nothing¦ (Rev. 3.17), and who, if they do not repent and acquire zeal for the Truth, will be cast out of the Heavenly Kingdom as being offensive to the Lord. It seems that we can compare Vladyka Philaret himself with the Angel of the Philadelphian Church, of whom it is said in the Apocalypse: ?And to the Angel of the Church in Philadelphia write: These things saith He that is holy, He that is true, He that hath the key of David, He that openeth, and no man shutteth, and shutteth, and no man openeth: I know thy works: behold, I have set an open door before thee, and no man can shut it: for thou hast a little strength, and has kept My word, and hast not denied My name- Because thou hast kept the word of My patience, I also will keep thee from the hour of temptation, which shall come upon all the world, to try them that dwell upon the earth. Behold, I come quickly: hold that fast which thou hast, that no man take thy crown¦ (Rev. 3.7-8, 10-12). In truth, the Lord opened before Vladyka a door for preaching and reproaching the apostates of this age, and no one was able to shut this door. Vladyka ?had a little strength¦ v he did not have a multitude of helpers and those who thought as he did; and although he always insisted on the complete cessation of concelebrations with clerics and bishops of ecumenist ?Orthodox¦ churches, nevertheless he did not have enough strength completely to attain this end v in the West European diocese such concelebrations continued. However, there can be no doubt that Vladyka Philaret-s inestimable merit consists in the fact that he did not allow all the Church as a whole to go along ?the path of compromise¦ between Orthodoxy and ecumenism. The holy hierarch Philaret kept the word of the Lord and did not reject His name and the true Orthodox confession before the face of the falling away into ecumenism of the majority of the Orthodox hierarchs, which already in itself was a wonderful example of firmness and determination v after all, we know that bad examples are infectious, that ?evil conversation corrupts good manners¦, and that when there is nobody around you who really cares for Orthodoxy it becomes very difficult to stand in the truth- Vladyka ?kept what he had¦ v Orthodoxy, and was not deprived of his crown: the Lord made him one of the pillars in His Heavenly Church and ?a pillar of fire and a pillar of cloud¦ showing the way to all the Orthodox living upon the earth. ==== ?The confessor of Orthodoxy and defender of the Church of Christ from the heresy of heresies, Metropolitan Philaret, passed away to the Lord on November 8/21, 1985, on the day of the Chief Captain of God Michael v the warrior against the very first heresy since the creation of the world, as a result of which a part of the angels fell away from the Grace of God and became demons- 14 years have passed since them- And looking at the path that the Church Abroad has trodden since the day of the death of the holy hierarch Philaret until the day on which his honourable incorrupt relics were revealed to the world (October 28 / November 10, 1998), one wants to ask the question: have we remained faithful to the teaching of St. Philaret, are we continuing to go along his confessing path? ==== Vladyka struggled for the whole of his life for the purity of Orthodoxy, and this struggle led to the proclamation in 1983 by a Council of the ROCA of the anathema against the ecumenist heresy, under which anathema all the hierarchs of ?World Orthodoxy¦ fall, with whom now, according to the Church canons, it is no longer possible to have any communion in prayer. However, from 1987 a very strange interpretation of the anathema of 1983 began to be implanted, according to which this anathema supposedly has no universal significance, but is applicable only to members of the ROCA who hold ecumenist views. This interpretation implies that the Local churches that participate in ecumenism have not yet fallen under anathema, and consequently cannot be called graceless, whence the possibility exists of there being salvation among them, and concelebrations with them are permitted, and negotiations with them ?in the spirit of love¦ are necessary, and similar anti-Orthodox conclusions. Therefore many children of the Church, striving to remain faithful to the teaching of St. Philaret, have not accepted this strange interpretation. ==== As a result, a sad division has taken place in the Church Abroad: almost three tenths of the clergy in America, and also about a tenth of the parishes in France have left the ROCA and joined the Greek Old Calendarists. ==== Vladyka Philaret strove to support the newly converted Americans who were seeking True Orthodoxy. But now we more and more often hear that all ?converts¦ are simply extremists who have no place in the ROCA v the Church of Russian emigres. ==== Metropolitan Philaret tried by all means to secure the cessation of concelebrations with members of the ecumenist churches. Especially after the proclamation of the anathema of 1983, similar concelebrations can no longer be permitted. But they continue to take place periodically, especially with clergy and hierarchs of the Serbian Patriarchate, and this, it seems, is no longer considered disgraceful. What would the holy hierarch Philaret have said about concelebrations with a Serbian hierarch-ecumenist in the cathedral in San Francisco where the relics of the warrior for True Orthodoxy, the holy hierarch and wonderworsker John, repose?.. ==== It was arranged that the remains of Vladyka Philaret would be transferred from the burial-vault under the altar of the cemetery Dormition church of the Holy Trinity monastery in Jordanville into a new burial-vault behind the monastery-s main church. In connection with this, it was decided, in preparation for the transfer, to carry out an opening of the tomb. On November 10 Archbishop Lavr of Syracuse and Holy Trinity, together with the clergy of the community, served a pannikhida in the burial vault; the coffin of Vladyka Philaret was placed in the middle of the room and opened. The relics of Vladyka were found to be completely incorrupt, they were of a light colour; the skin, beard and hair were completely preserved. Vladyka-s vestments, Gospel, and the paper with the prayer of absolution were in a state of complete preservation. Even the while cloth that covered his body from above had preserved its blinding whiteness, which greatly amazed the undertaker who was present at the opening of the coffin v he said that this cloth should have become completely black after three years in the coffin- It is noteworthy that the metal buckles of the Gospel in the coffin has fallen into dust on being touched v they had rusted completely; this witnessed to the fact that it was very damp in the tomb; and in such dampness nothing except these buckles suffered any damage! In truth this was a manifest miracle of God. ==== - The coffin with the relics was again closed. On the eve of the reburial of the relics, November 20, at the beginning of the fourth hour of the day, the coffin of the holy hierarch was taken from the Dormition church to the monastery church of the Holy Trinity in a car. The serving of the pannikhida was led by Archbishop Lavr, with whom there concelebrated 20 clergy. None of the other hierarchs of the ROCA came to the translation of the relics of the holy hierarch Philaret (only Bishop Gabriel of Manhattan wanted to come, but he was hindered by a sudden illness). After the pannikhida the coffin with the body of Vladyka Philaret was placed in the side wall of the church, and at 19.00 the All-Night Vigil began. The next day, November 21, Archbishop Lavr headed the celebration of the Divine Liturgy in the church. With him concelebrated 18 priests and 11 deacons, several more clergy who had arrived prayed with the laypeople in the church itself. About 400 people gathered in the over-crowded church. All those present were greatly upset and grieved by the fact that during the pannikhida, as during the All-Night Vigil and the Liturgy, the coffin with the relics of the holy hierarch Philaret remained sealed. In spite of the numerous requests of clergy and laity, who had specially come to Jordanville so as to kiss the relics of the holy hierarch, Archbishop Lavr refused to open the coffin. He also very strictly forbade making photocopies from the shots that had already been taken of the incorrupt relics of Vladyka or even to show them to anyone. Archbishop Lavr called on those assembled to pray for the peace of the soul of the reposed First Hierarch until the will of God would be revealed concerning his veneration among the ranks of the saints- After the Liturgy a panikhida was served, and then the coffin with the relics of the holy hierarch Philaret were taken in a cross procession around the Holy Trinity cathedral and taken to the burial vault to the prepared place, where Archbishop Lavr consigned the honourable relics of the holy hierarch to the earth. ==== A year has passed since then. However, there has been no decision taken concerning the lot of the relics, and the question of the canonisation of the holy hierarch has not even been raised. ==== It is difficult to over-estimate the significance of Vladyka Philaret in the matter of the regeneration of the Russian True Orthodox Church. It was precisely he who in our century gave the ?right ton¦ in the Russian Church to that struggle which the zealots of Orthodoxy are now waging, both in the homeland and in the diaspora. By his efforts the choir of the New Martyrs and Confessors of Russia and other Russian saints were glorified; he was the only one out of all the Orthodox hierarchs who openly berated the apostate ecumenists, addressing all the bishops of the world and pointing out to them the danger of the all-devouring heresy; he everywhere strove to support the zealots of Orthodoxy v both the Greek Old Calendarists and the Russian Catacomb Christians; he also spoke against the false ?regeneration of Orthodoxy¦ that is now so widespread in the MP. It was Vladyka Philaret-s firm and decisive word and his strictly patristic position that, in the course of twenty years, prevented the ?negotiations in the spirit of love¦ with various false church communities as well as the spread of concelebrations with members of the false Orthodox churches v which quickly began to flourish after Vladyka-s death and are now giving bitter fruits. ==== Therefore all those for whom the true Faith of Christ is dear must do all that they can for the glorification of him whom the Lord Himself glorified a year ago in such a clear way. Holy Hierarch Philaret, pray to God for us! [i]= Our bulletin has already published (No. 11 /44/, 1998) a short description of the life of Metropolitan Philaret (Voznesensky). However, not all our present readers could read this material. Moreover, in the past year new information about the life and deeds of the hierarch and about his veneration amidst the Orthodox has come to the editors. Therefore the necessity has arisen of publishing anew a fuller description of the life v we can now call it a Life v of this lamp of the Orthodox Church in our apostate century. We not claim to have a complete description of his life on offer, and we will be grateful to our readers if they could communicate to us any new information about everything that relates to the Hierarch Philaret. [ii] This sermon was published in full in No. 5 (50) of our bulletin for 1999. ==== ?The Hierarchical Synod [of the ROCA] is obliged with sorrow to warn its flock and those pastors who make themselves out to be the only True Orthodox Christians that the path of arbitrary self-rule that they have embarked upon will lead them out of the Church and into a sect. ===== ?-. Alas, critics have also appeared in our diocese- They have demanded from us a reply to the question: do the clergy of the -Synodal- Church concelebrate- with new calendarists and ecumenists? The aim of this question is to accuse US of the -sin- of concelebration. ===== ?-They were given the clear and definite reply that our Church has always had relations with, and continues to have relations with, the canonical Churches that have accepted the new calendar in the practice of the Divine services. ==== ?Our Hierarchical Councils and individual hierarchs have often repeated: the new calendar is not a heresy, but a great and crude mistake. On this basis, Metropolitan Philaret, on his frequent visits to France, has served Sunday Liturgies in the Romanian Church in Paris, praying with his new calendarist flock. ==== ?WE permit to serve with US clerics of the Orthodox Serbian Church. Our metropolitans and bishops have done the same since they knew for certain that the Serbian Church, in the difficult conditions of the communist regime, has been able to preserve its inner freedom and, while being included officially in the ecumenical movement, has remained in essence outside it. ==== This epistle was dated April 10, 1987. In it mention is made of the fact that Vladyka Philaret served in a new calendarist parish in France v this is practically the only ?proof¦ of his ?sympathy¦ for the new calendarists which Archbishop Anthony cites in his epistles. A parish of the True Orthodox Church in which the new style is permitted by economy is not the same as a parish of the new calendar church. Archbishop Anthony is trying to create the illusion that the ?official churches¦ are distinguished from the Orthodox only by the fact that they serve according to the new style. However, the new style was accepted by them by no means with the sole aim of ?correcting the calendar¦, but with the aim of celebrating the church feasts together ?with all the Christians of the whole world¦ v that is, with all the heretics, about which a declaration was made by the initiators of ecumenism at the beginning of the 1920s. What are the new calendarist churches? They are church formations in which only the external, ritual side of Orthodoxy has remained (and even that not everywhere and in everything). Their hierarchs recognise the presence of the Grace of God in all the heretics and even in non-Christian religions, praying together with the Catholics and Protestants, the pagans and the Muslims. The Antiochian Church, for example, has already been for a long time officially in communion with the Monophysites; the Serbian patriarch in every way demonstrates his fraternal love for the Pope of Rome and the Anglicans-. One could lengthen this list. That is why, of course, such ?churches¦ can have no relationship to Orthodoxy. The fact that Vladyka Philaret had no ?sympathy¦ with such new calendarists is witnessed, at all events, by the fact that he strove in every way to support and strengthen the movement of the Greek Old Calendarists. [iv] Thus, for example, Protopriest Alexander Lebedev in his letter on the Internet-conference Synod dated December 28, 1998, directly said that Vladyka Philaret had become a ?turning point¦ in the history of the ROCA, directing the Church in the direction of walling itself off from ?Official Orthodoxy¦ insofar as throughout almost the whole of his life before his ordination as a Bishop had lived in China, had not studied in a Russian seminary, had never met Metropolitan Anthony and had very little contact with Metropolitan Anastasy, had not mixed in the circle of pre-revolutionary Russian hierarchs, had not personally met any of the leaders of the local churches, etc. v which is why he fell away from the common tradition, living in ?complete isolation¦ from the ?civilised¦ ecclesiastical world. [v] Ordained as a Bishop on December 9/22, 1960 by Archbishop Seraphim of Chicago and Bishop Theophilus of Detroit. [vi] Four new ?Florinite¦ Bishops were ordained in May, 1962 by Bishop Acacius (Pappas) and Archbishop Leonty of Chile. Later other Greek Old Calendarist hierarchs were ordained. [vii] Quoted from Vladimir Moss, The Orthodox Church at the Crossroads. 1917-1970= (Unpublished). [viii] Our bulletin publishes them below. It is obvious that it was precisely these epistles that became the historical moment after which any communion of a cleric or layman of the ROCA with the ecumenists began to be perceived as a canonical transgression and falling away from the faith of his Church. These epistles did much to determine the appearance of the anathema of 1983, which finally cut off ?Official Orthodoxy¦ from communion with the True Church. [ix] A public speech of repentance on relevision. [xi] Metropolitan Philaret wrote about this in his letter to Abbess Magdalina of November 26 / December 9, 1979. For extracts from this letter, see: Vertograd-Inform, N 10 (43), October, 1998, 17, 18-19. [xii] Letter to Father N. See: Vertograd-Inform. N 11 (44), 1998, pp. 28-32. [xiii] In particular, Archbishop Cyril (Gundyaev) of Vyborg (now the Metropolitan of Smolensk and Kaliningrad of the MP) with his own hands (!) raised a pagan idol, which moment is captured in an official photo chronicle. [xiv] This, for example, is what Vladyka Averky said in his welcoming speech to Metropolitan Philaret on his namesday, December 1/14, 1967: ?We are going through a terrible time. But not only because the forces of world evil are gaining a greater and greater hold over the world, but still more because v terrible to say! v many highly-placed hierarchs of the Church of Christ are carrying out a very real betrayal of our holy faith and Church. Some completely new epoch in Christianity is being proclaimed. They are thinking to create new church into which not only all the Orthodox must enter, but also the heterodox, and even the Muslims, Jews and pagans. They are even talking about some kind of ?dialogue¦ with the atheists! In this way, instead of the true faith and the true Church, a false faith or, in the expression of our great Spirit-bearing lamp, Bishop Theophan the Recluse, an evil faith and a false church, is arising. ==== ?And it is in these terrible times that we wish to see in your person our steadfast and unshakeable spiritual leader inspiring us all for the holy struggle v the holy battle v for the true faith and the true Church against this false faith and false church. ==== ?We must make a decisive break with ecumenism, and we must not have anything in communion with its co-travellers,¦ wrote Vladyka Averky in 1969. ?Our path is not theirs. We must say this decisively and show it in our deeds. A time of genuine confession is coming for us, a time when will perhaps remain alone and will be in the position of being persecuted. Insofar as all the Orthodox Local Churches have now entered into the ranks of the -World Council of Churches- and have thereby betrayed Orthodoxy and bowed down to satan, the time of our complete isolation has come. We cannot and we must not have any communion with apostates from True Orthodoxy, and we must be ready, if required, to depart into the ?catacombs¦, like the ?True Orthodox Christians¦ in our homeland. ==== ?Our position as fighters and confessors of the pure and undefiled truth of Christ places us under great obligation, more than at any time in the past. [xv] See: Vertograd-Inform. N 11 (44), 1998, pp. 24-27. [xvii] It is known that the ecclesiological views of Archbishop Lavr have often aroused criticism even in Holy Trinity monastery v for example, in 1998 three monks left the community, sending a letter to Metropolitan Vitaly and the whole Hierarchical Synod of the ROCA about this. We quote some extracts from it. ==== ?- We humbly address you with an explanation of the reasons of our departure from the Holy Trinity monastery in Jordanville. ==== ?The third reason: the meeting of the Serbian Bishop Artemy in the monastery with the ringing of bells and hassocks- Bishop Gabriel of Manhattan- completely supported us, saying that we- were acting correctly and should not fear in future to speak the truth and act according to our Christian conscience. (During the Serbian bishop-s stay in the monastery we did not go into the church, nor to trapeza, about which we informed the Rector). Praying with the Serb ecumenists is the same as praying with clergy of the Moscow Patriarchate, with whom they are in liturgical communion. ==== ?The fourth reason. In our above-mentioned behaviour we based ourselves on the decision of the Council of the ROCA in 1983 in Mansonville, which delivers the heresy of ecumenism, the ecumenists and all those in communion with them, even for the sake of a certain love or help, to anathema. But Archbishop Lavr considers this Council to be a ?robber¦ council, since, in his words, it was arranged by Grabbe. We cannot agree with this name, because this Council was accepted by the conciliar opinion of the Church, and it is referred to throughout the world, and only another Council cannot annul it. And so it turns out that ?they fall under their own anathema¦. ==== ?The sixth reason: new calendarists and those belonging to the MP are admitted to communion in the monastery church. ==== ?The ninth reason. In the unia of the Antiochian Patriarchate (and of the MP which has dealings with it) with the Monophysites Archbishop Lavr sees no falling away from Orthodoxy, but only an attempt to -swallow up- the latter. ==== ?The tenth reason: Hieromonk John (Berzinysh)-s commemoration at the proskomedia of the Constantinopolitan Patriarch Bartholomew, who falls under three anathemas: as a new calendarist, as a mason- and as an ecumenist. ==== ?- After two admonitions, which had no effect, we declared to Hieromonk John that we could not be in eucharistic and prayerful communion with him, for according to the canons of the Church of Christ the commemoration of a heretic at the proskomedia is inadmissible- Rassophor Monk Oleg was deprived of communion for an indefinite period, although any monk can leave the monastery if questions of the faith are at stake. ==== ?Hieromonk John asked us in an insulting way: -How are you now going to trapeza, which has been prepared by a heretic, and eat things sacrificed to idols?- So we had to stop going to the church and trapeza, since nobody stopped him- We told Archbishop Lavr that already for two weeks because of the unlawful actions of Hieromonk John we were not going to the church or trapeza, but he did not react in any way to this- We suggested that Hieromonk John (Berzinysh) repent from the ambon, for the whole brotherhood was greatly upset and tempted, but Archbishop Lavr replied that he -was not intending to create a show with Hieromonk John-s repentance-. ==== ?- In his last conversation with us- Archbishop Lavr declared that we were banned, we did not receive a reply to our question for how long, which we consider uncanonical. Archbishop Lavr gave as his reason for the ban our not going to church for a month. But there is cunning in this: after all, two weeks earlier we had told him that we were forced not to visit the church- We again explained to Archbishop Lavr the reason for our actions, to which he replied, subjecting us to severe perplexity and great temptation: -Show me the book in which it is written that it is wrong to commemorate (at the proskomedia) the Patriarch of Constantinople-.